Please see below important news and updates for week 28th January – 1st February, plus details of our upcoming training. These must come from the Primary Care Reimbursement Service (PCRS) and show the parent/child name and PPSN; the card type – whether it is a medical card or a GP visit card; and the start and end dates. This notice is on PIP. Guidelines setting out the application process for over €6.1m in childcare capital grants have been published. 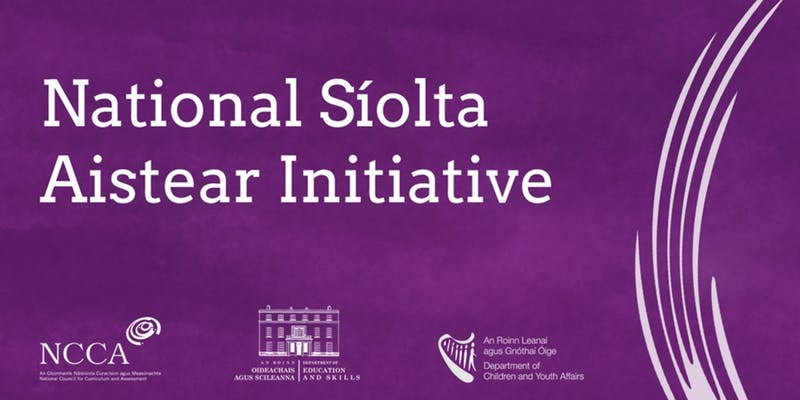 Announcing the publication, the Minister for Children and Youth Affairs, Dr. Katherine Zappone T.D. encouraged providers to study the document and prepare the groundwork for their applications. 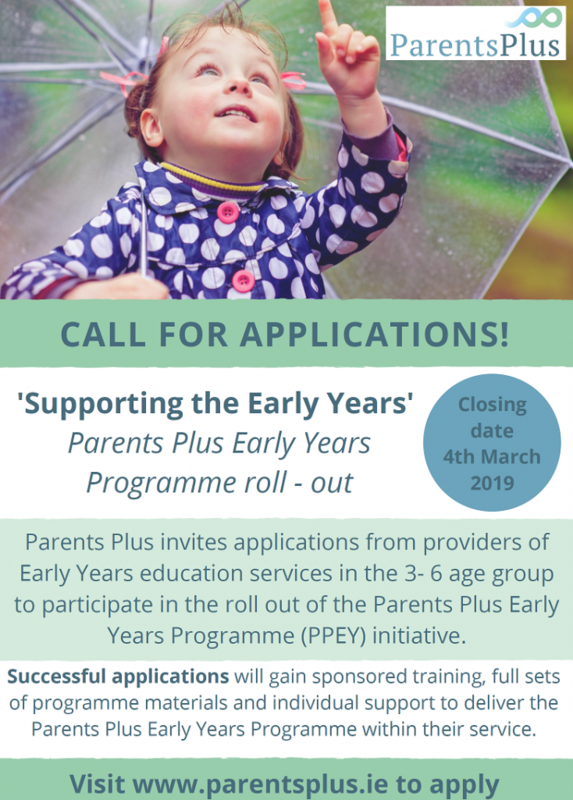 The 2019 Early Learning and Care and School Age Capital programmes will open for applications from 25th February to 27th March 2019. Decisions are expected to be delivered in June 2019. For childminders who will be registering with TUSLA, please submit any queries you may have to TUSLA’s email address sac.registration@tusla.ie. Reminder that letters of intent must be received by Friday 8th February 2019. All dates must be attended in order to receive certificate. 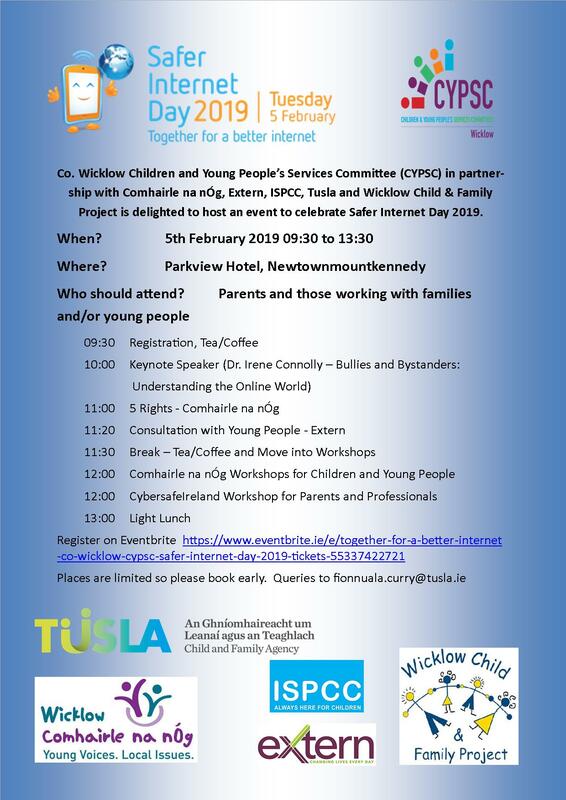 This workshop will look at practical approaches to communicating with parents regarding children’s development and behaviours. This workshop will also address ways in which to present Aim supports to parents in order to create an understanding as to how to best support their child through the preschool years. Following the workshop, in advance of the opening of applications for the LINC course this March, a tutor from the Leadership for INClusion in the Early Years programme will be hosting an information session. LINC is a free (fully funded) higher education blended-learning programme designed for early years teachers, to promote the inclusion of children with additional needs. After completing the programme, graduates will carry out the role of Inclusion Coordinator and will also meet the educational requirement for room leader status. Once a qualified graduate is working within an early years setting as the INclusion COordinator, the setting will be entitled to an extra capitation payment of €2 per ECCE/CCS/TEC qualified child. 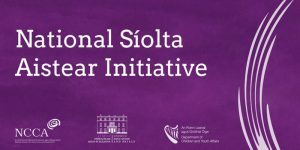 Further information about the programme can be found by visiting the LINC programme website www.lincprogramme.ie. Forest School are offering training to Wicklow County Childcare Committee Service Providers at a subsidised rate thanks to funding received from Wicklow County Council and the Local Agenda 21 Environmental Partnership fund. Two Irish trainers, Ciara Hinksman of Earth Force Education and Lucy Bell of Growing Wild, are delivering this course in association with Circle of Life Training. Both Lucy and Ciara are Forest School practitioners working with children and adults throughout Ireland since 2013 and have been outdoor educators for over ten years. They are part of the Circle of Life Training team delivering OCN Level 3 Certificate Forest School Leader course in Co. Wicklow. Understand the Forest School approach to learning. Be able to participate in Forest School experiences. Understand methods of identification of woodland species. Understand how Forest School impacts on the woodland environment. Understand hazards at Forest School.